This is the perfect thing to spread on pancakes or waffles (and honestly is pretty darn good eaten straight with a spoon!). The recipe below is for one serving but can be easily multiplied. This is an awesome vegan treat, but if you prefer you can easily sub in cow’s milk and butter. 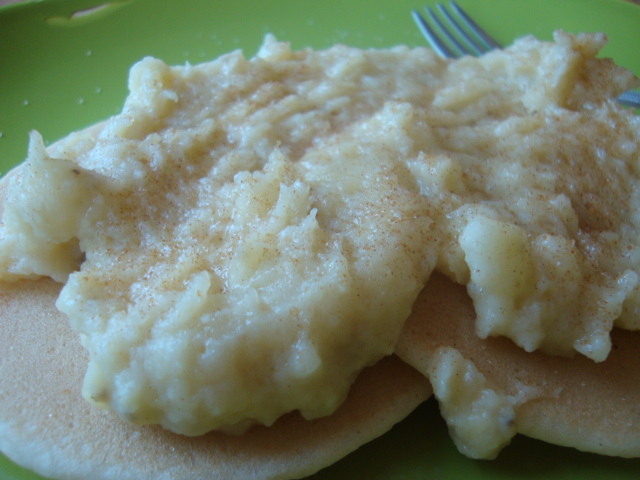 In a small bowl, mash the banana with a fork until it has reached a homogeneous consistency. Set aside. Melt the butter in a saucepan over medium-low heat, swirling occasionally to coat the bottom of the pan. Whisk the flour into the butter and cook until browned, 1minute. Whisk in the almond milk. When the mixture has thickened carefully stir the banana into the roux.